Last Saturday afternoon my family and friends popped round for the afternoon to celebrate my pregnancy and chat about all things baby related. I wanted to do a quick round up post about the food we made and the decorations we used to make the house look super pretty! 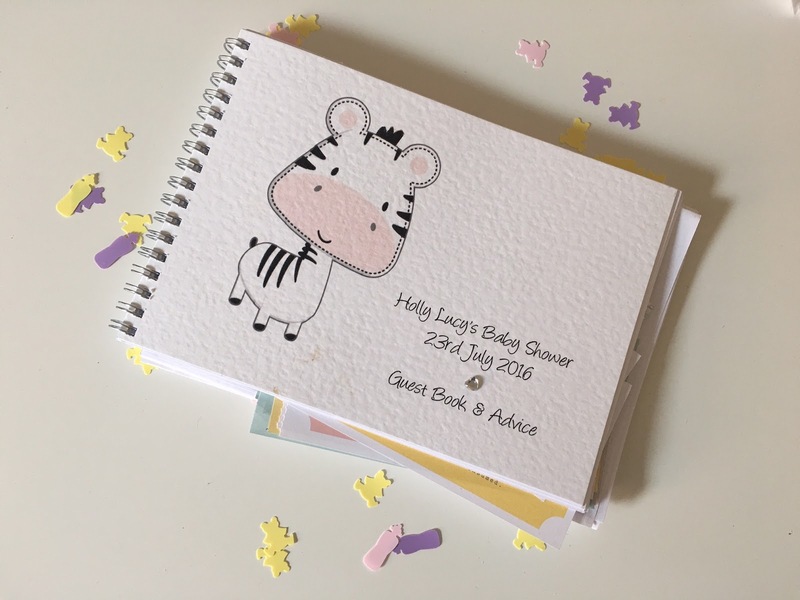 I'm going to be doing a separate post on the gifts we were kindly given as I know how much I love to see others baby shower hauls.. you want to see the pressies right?! I thought it would be nice to share some ideas for decor and food just in case you might want to try out at your baby shower/ a friends in the future! As the events queen that I am, I got fully into planning mode about the baby shower weeks in advance. 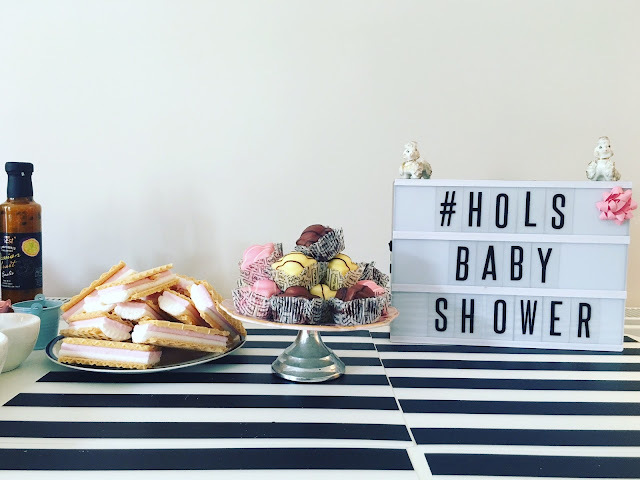 I'd created a Pinterest board (here) with all of the elements I'd like to include and kept searching under #babyshower on Instagram to get inspiration for decorations, food and games. 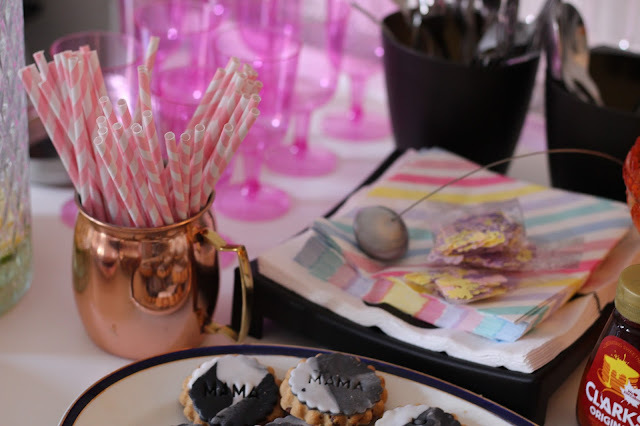 Of course, being the blogger that I am I wanted to make sure everything looked extra cute around the house ready for photos! I thought it would be nice to send actual invites out to my friends and family for the baby shower rather than just sending a text or Facebook invite... sometimes I miss getting real snail mail! I asked my lovely friend Sally (CinnamonBun Designs) and my brother (InkyGorilla) to work on something for me. Together they came up with this really cute design and my bro also created some matching fridge magnets to go along with the invite to remind people of the details. I'd put a picture on but its got my address on it.. you can check out Lewis' shop here (I've got a giveaway coming up next week too!) and Sally's shop here. 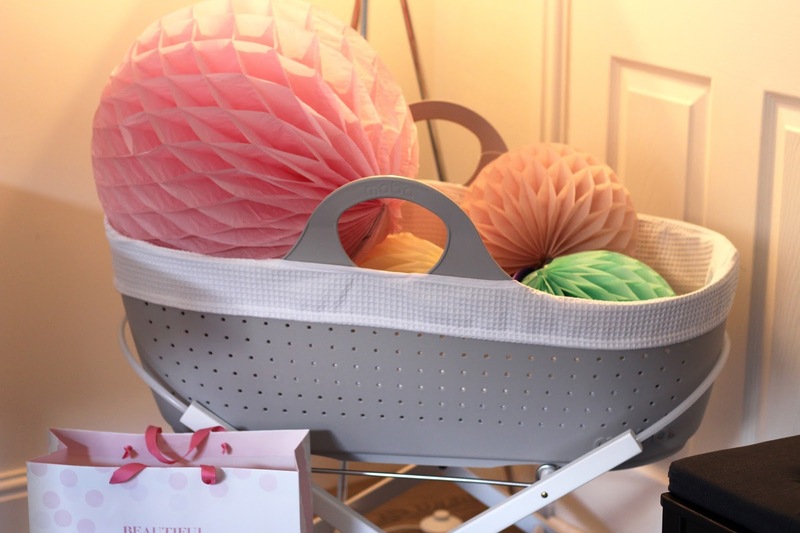 At the beginning of the month I went on the search for some pretty decorations and came across a lovely brand called Meri Meri- I went for the Pastel Party Decorating Kit (£13) which included some bunting and some honey comb decorative balls. 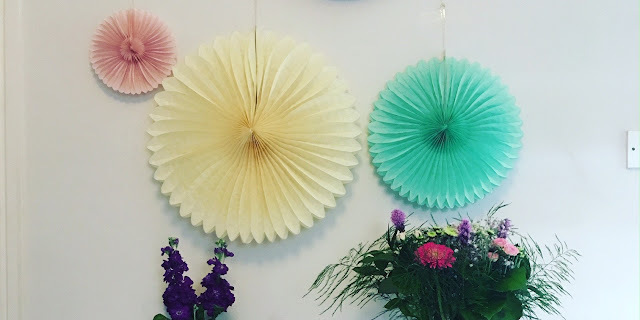 I also purchased a large honey comb wave paper ball decoration by Miss Etoile- I found this at TK Maxx in the party decoration section. Our Moba moses basket is far too pretty to have hidden away in the nursery so thought it would look cute in the corner of the room with the honey comb balls in and use it as an area for people to put the pressies they bought us! In the pack by Meri Meri were some really lovely pin wheels.. so lovely in fact they are still up on the wall in our dining room now! Rather than spending too much money on decorations I used some of the pretty pieces we already have around the house, for example, the lightbox I got for my birthday last year, a vintage cake stand (from my mum's Etsy shop) and some really chinsy poodle figurines that I adore. As some pretty extras to the table I added some pastel napkins from Meri Meri, a copper moscow mule mug from Love Tiki filled with striped straws from Pretty Little Party Shop and then just some pink plastic wine glasses from Poundland! As usual, with any celebration I organise I always go wayyy overboard with the amount of food. But, in my opinion its always better to have too much than too little! Cupcakes with buttercream icing made by my lovely friend Frances. 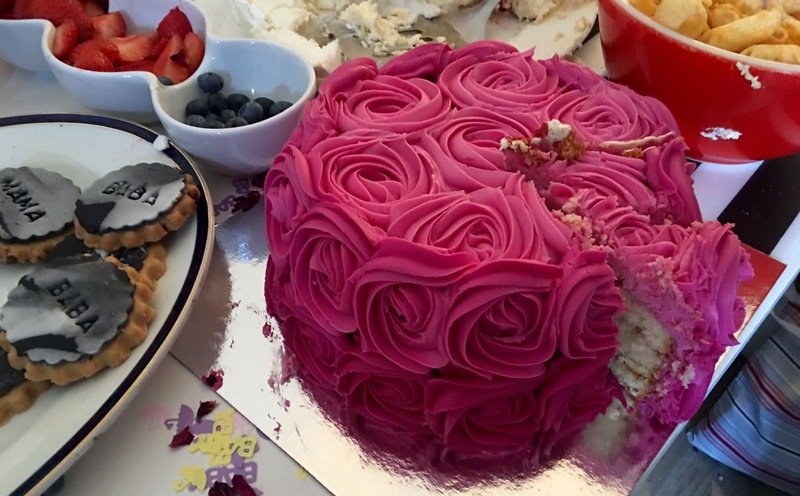 A delicious three tiered rose cake made by my mum- so beautiful! She got the recipe from the Good Food website and added some extras on to make it taste and look even more delicious- she used Holylama rose extract spice drops, Souschef Rose petals and Souschef freeze dried raspberry powder for the icing. A rather fancy looking cake from my friend Sally! So beautiful and tasted good too. 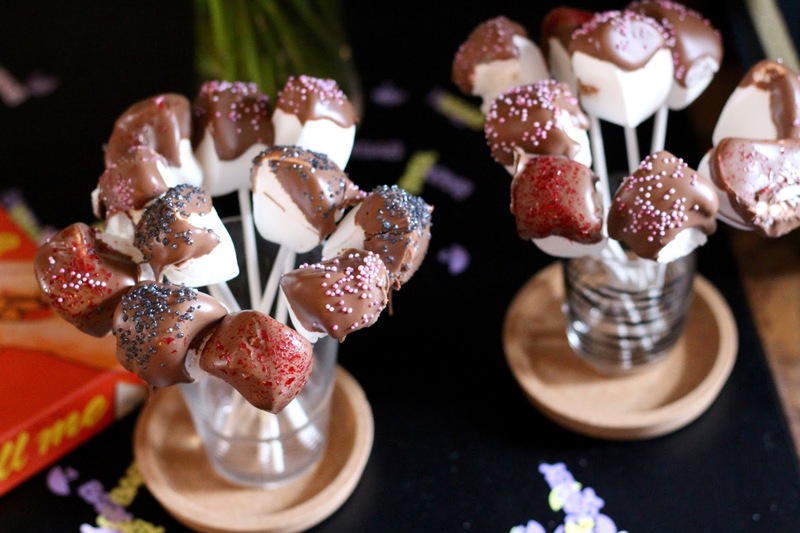 Marshmallows dipped in chocolate then covered in cake sprinkles! I thought I should at least challenge myself to something a bit more technical and also opted for some fondant covered biscuits.. 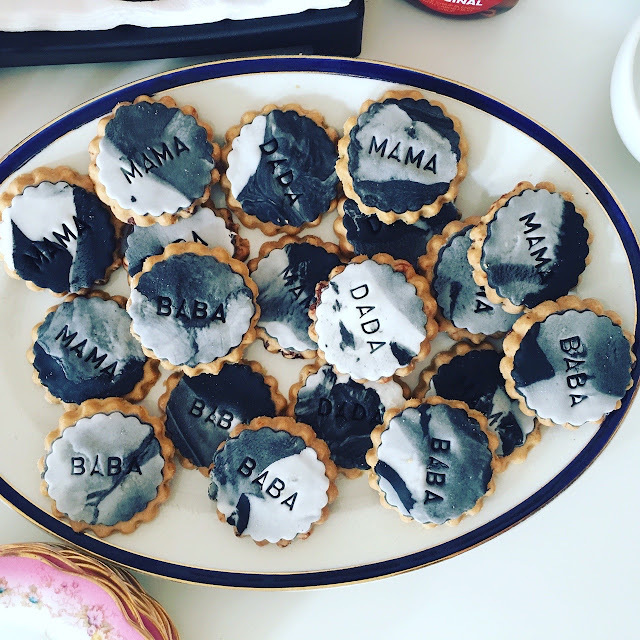 Okay, okay I didn't actually make the biscuits (used a mixture of shortbread and ginger biscuits from Waitrose) but I made the marble fondant and stamped in the words on all of them! The marble fondant took about 20 minutes to make and I used this recipe for guidance. 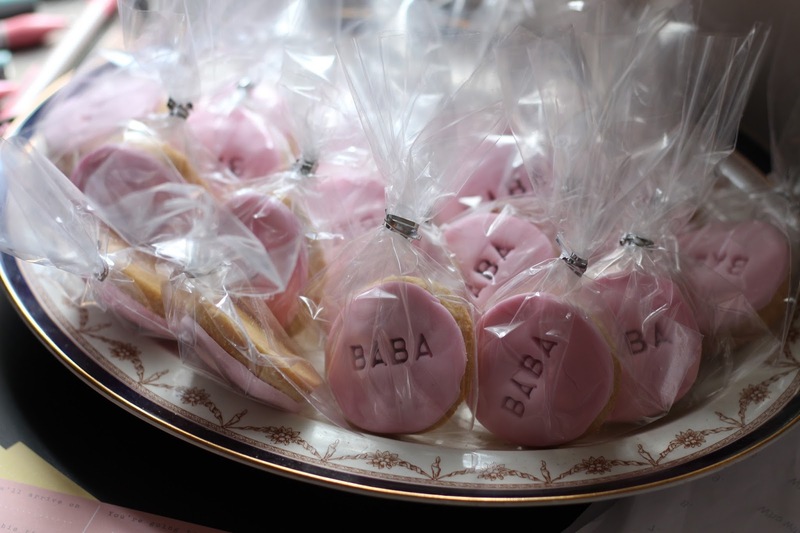 To add BABA, MAMA and DADA to the fondant I used a stamping set I bought from Lakeland- such an easy but effective topping I think! 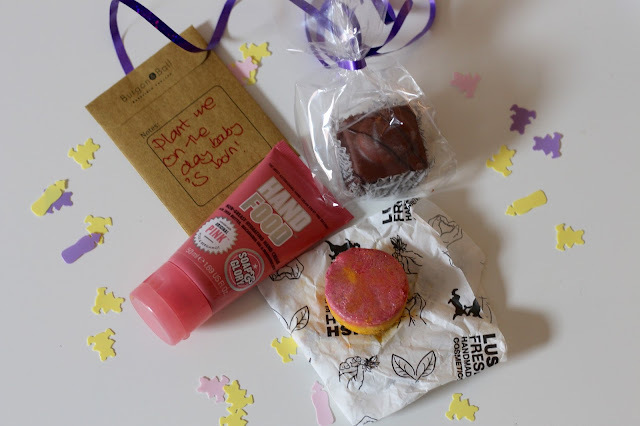 Each bag included either a Soap and Glory Hand Food (my ultimate fave hand cream!) or a Lush bath product- either melting marshmallow moments or Ickle Baby Bot- a French Fancie or Jelly babies and then a little packet of seeds to plant on the day baby is born... however, the only seeds I could find that are okay for September were cress.. haha! 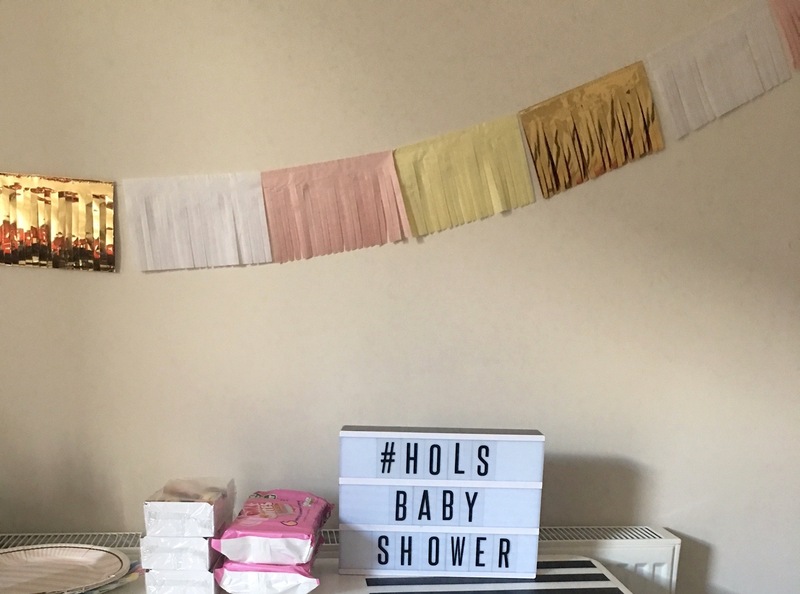 Who will be the most squeamish when changing nappies? Who will be the strictest parent? Who will take more photos of the baby? Who will be the coolest parent? Who will be the best at singing lullabies? We then played the "Guess the size of Holly's bump" game which my friends all massively over estimated the size of my perfectly petite bump.. cheeky buggers! I bought this voucher and baby guessing book from M&S recently as I thought it would would be interesting to see people's guesses about the baby's weight, name,date of birth etc.. I've been looking over all the completed ones today and all my friends think she is going to be over 7lbs 9oz and that she will be at least a week late!!! 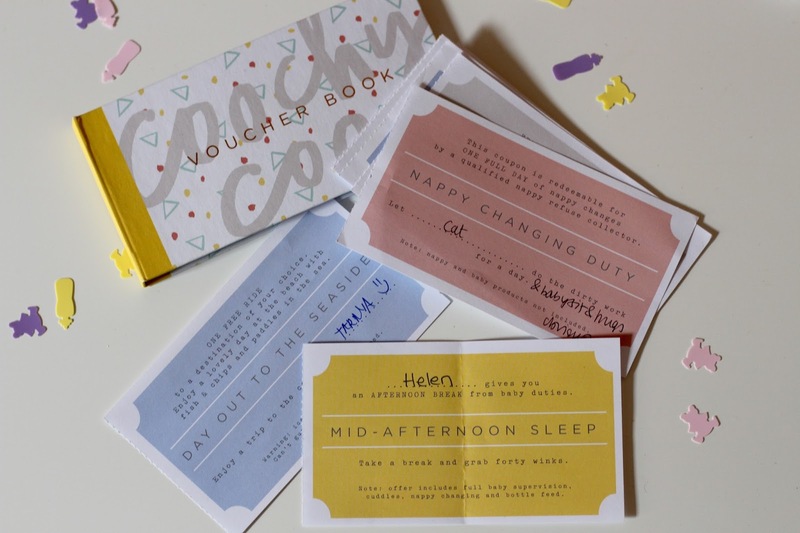 I liked looking through the vouchers too.. I've been promised a trip to the seaside by Tarnya, a number of afternoon naps, a free house clean and a few 3 course dinners and bottles of wine. I am for sure cashing in on ALL of those!! 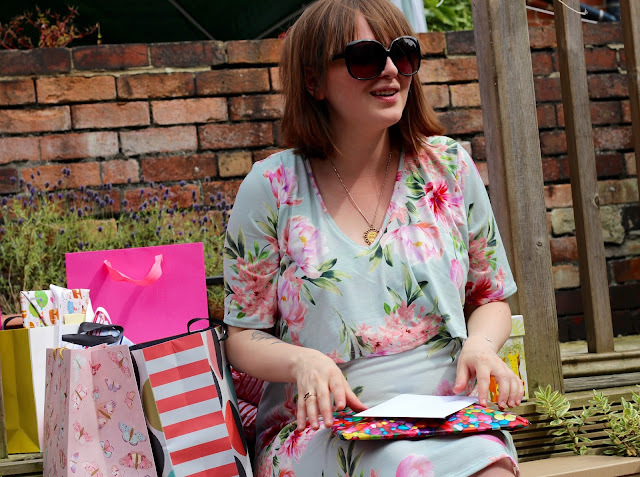 After eating cake and drinking lovely mocktails it was time to start opening all the pressies people had bought along for us.. my friends insisted that I sit in my garden in front of everyone and open every gift.. this was rather nerve-wracking but exciting at the same time! 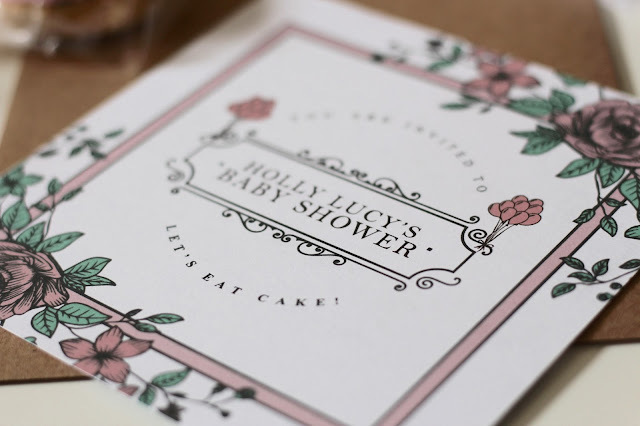 I love the dress I wore on the day- it's by Bluebelle Maternity and can be found on ASOS. 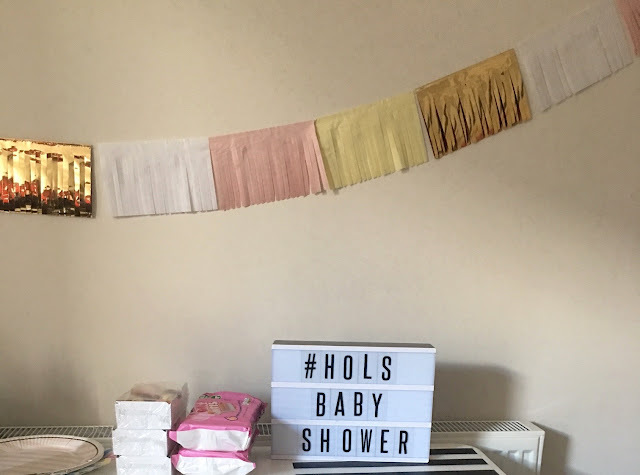 As you can probably tell by the length of this post I absolutely loved preparing for the baby shower; I really enjoyed seeing it all come together on the day and thoroughly enjoyed myself. It was so lovely to bring together all my friends and have a, what could be, final get together before the baby arrives in 4-5 weeks! 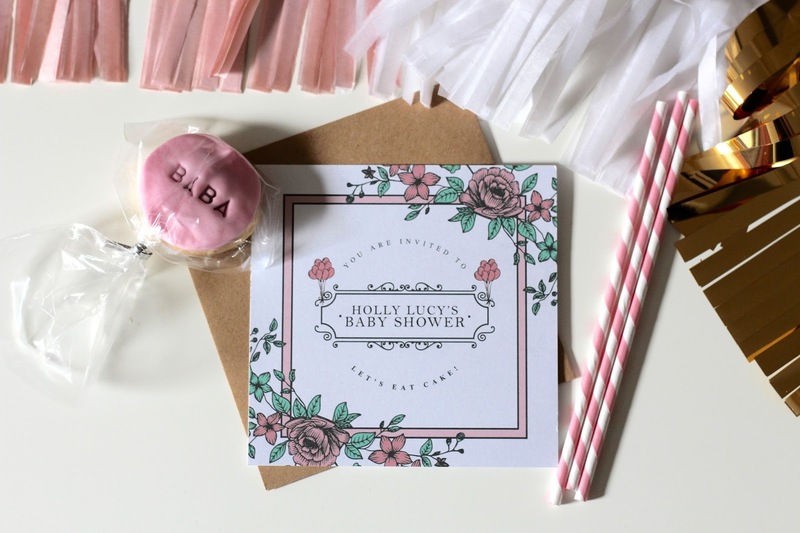 Have you been to a baby shower before? 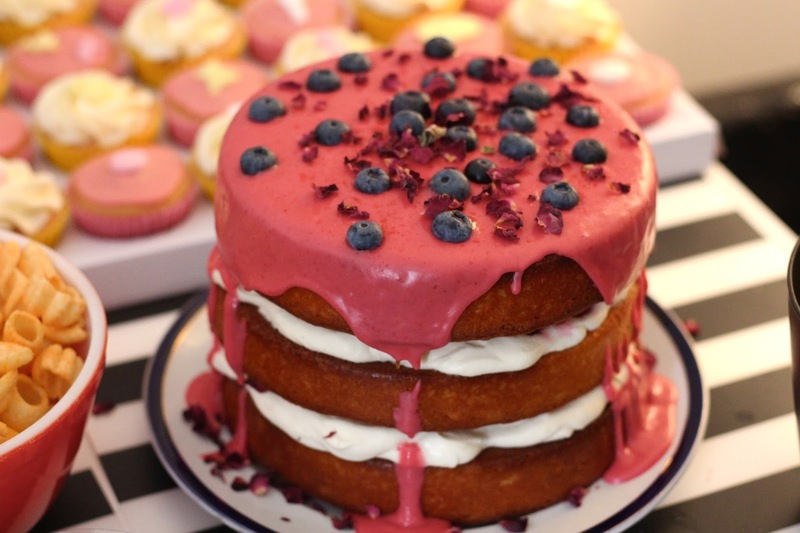 Which cake takes your fancy? 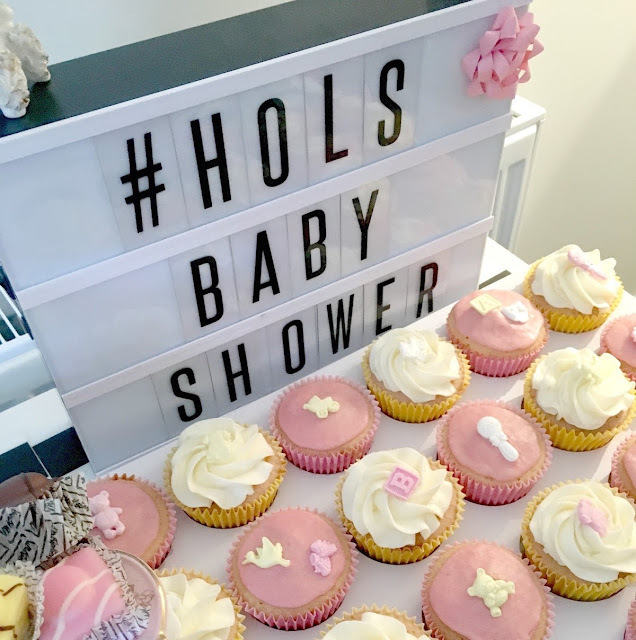 It was a very well arranged, decorated and hosted baby shower with lots of cake but you can never have too much! !